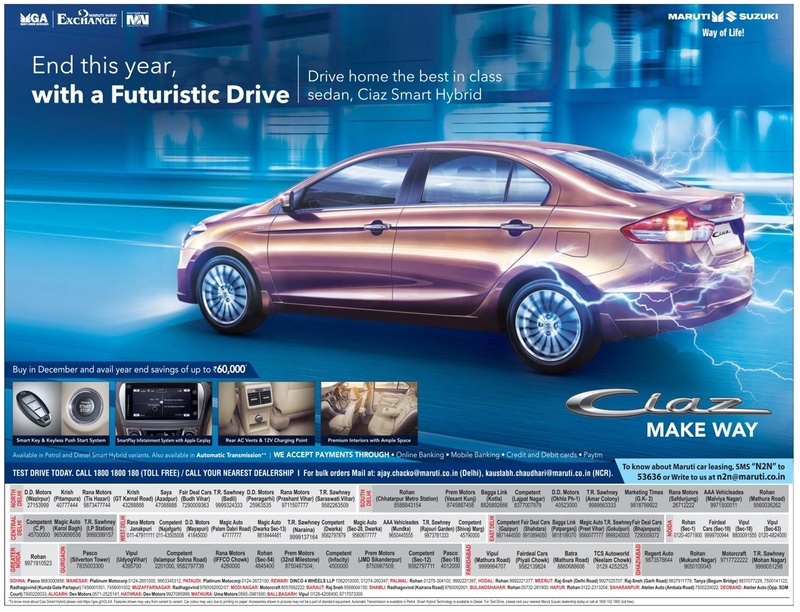 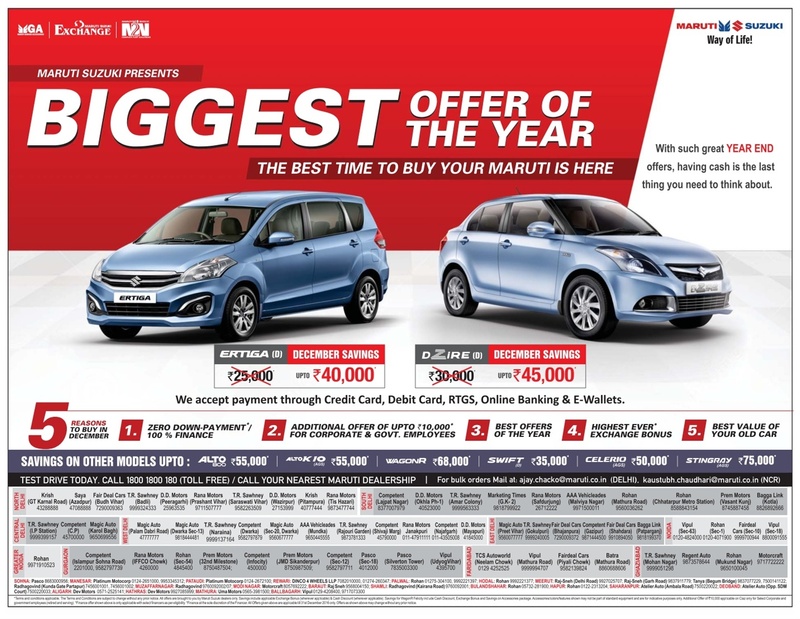 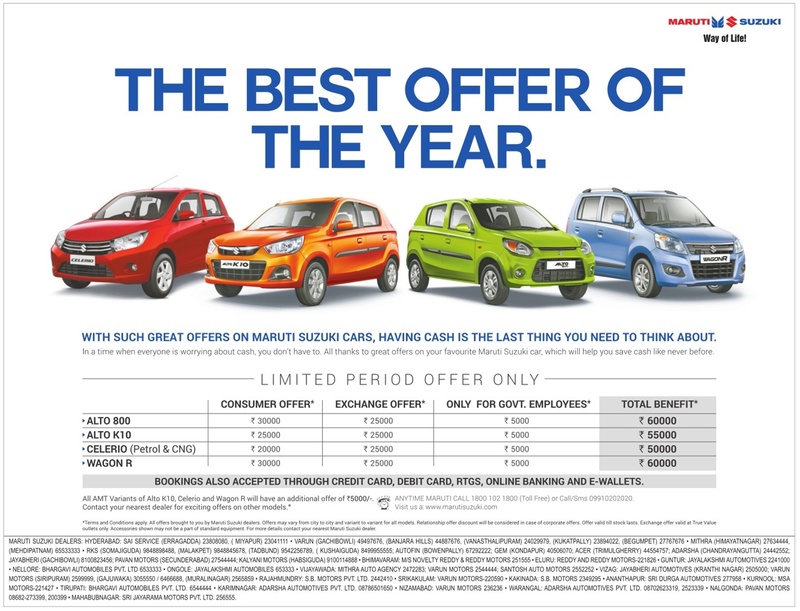 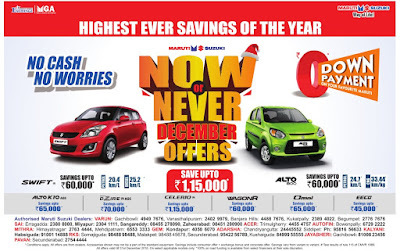 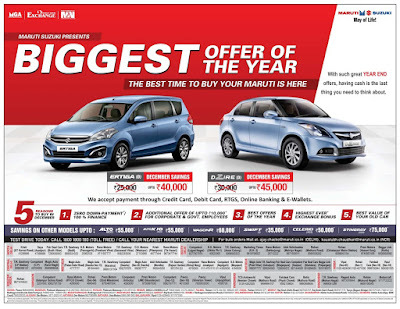 The best offer of the year - Maruthi Suzuki cars. 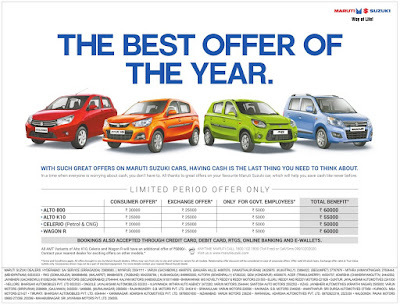 With such great offers on maruthi suzuki cars, having cash is the last thing you need to think about. 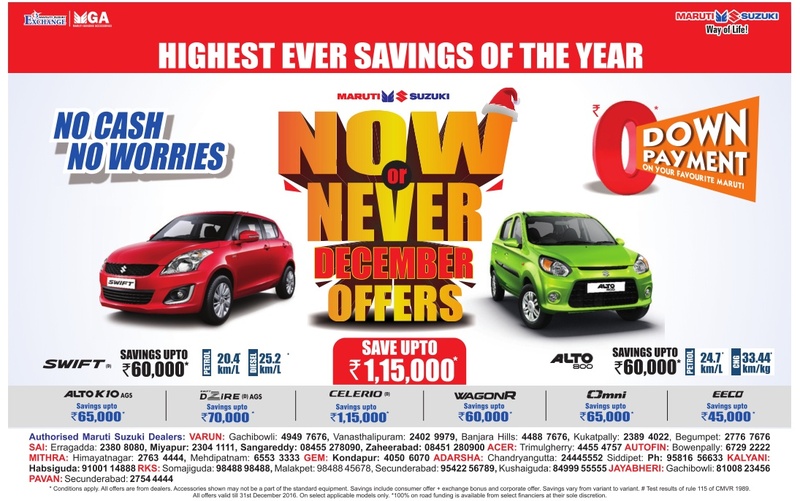 Savings offer also applicable on the following cars. 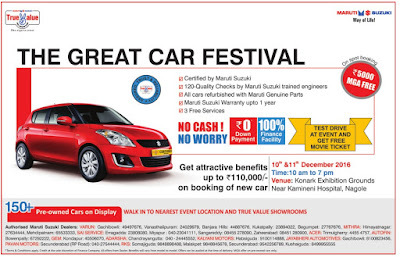 Bookings also accepted through credit card, debit card, RTGS, online banking and E-Wallets.